Note 1: This is the first competitive match the Western Sydney Wanderers have played against a team from another Confederation. Note 2: The Western Sydney Wanderers qualified for the Club World Cup after winning the 2014 Asian Champions League. Cruz Azul qualified by winning the 2013â€“14 CONCACAF Champions League. Note 3: The team who wins this match will play Real Madrid of Europe in the first semi-final. Note 4: The losing team will compete in the 5th place play-off. Note 5: Both goals scored by Gerardo Torrado were penalties. 2 days ago I was praying that we would win. Now I am just praying that we play. No one expects us to do anything, and morale is low and no form.......... everyone will expect the Mexican mob to turn us over with ease. Sort of game / conditions WSW love. If we can get out on the **** pitch!!!! Can we get a live site with the % on the remaining 90% of money. Sorry Mack I promise I'll be good. Can't wait for the game to put all the rubbish behind us and test ourselves against someone new again. I wonder what sort of crowd they will get in the stadium? The owners and players when we get smashed..
What do all of the Cruz Azul stars mean? Ours is gold. We are better. Will any pubs (ie Collector) be open for this? i think Pubs generally have to shut at this time and need exemption to be open. I'm thinking Star City might be the go if hear nothing else from the forum. If they added 1 per champions league win they'd have 14. I have no information about Cruz Azul's style of play. I can't tell you the names of even one of their players. I have no information about their club what so ever. I don't even know what colour their playing stripes are. ok, we talkin about que pasa with your club and is goin to play against us o no? LO QUE MAS NOS CONVIENE EN ESTE MOMENTO ES PERDER CON LOS AUTRALIANOS Y DE UNA VEZ POR TODAS QUE CORRAN A TENA Y SUS PETARDOS. it is more convenient for cruz azul to lose to wsw and this way there is a clean up of players and more importante a new coach. For us at the moment when no everything is goin to good domestic league the moral is down and we are forgeting about suport our players and coach in this tornament. Is like is sad because majority us fans have forgotten that to be in CWC we have won and become champions of our region. Cheers perhaps? Might have to get in early though. I REALLY want to see us play Real Madrid. What a **** situation both clubs are in, the current form of both teams are **** and both have other issues going on in the background (CA: Unhappy with players/coach and WSW: pay dispute). All of this happening to two clubs that were crowned champions of the confederation only months ago, **** me! Football can be a great but ****ed up sport at the same time!! Anyway, no expectations just hope that the boys put in 100%, they are the under dogs going into the game and I expect a back to the walls and digging in our heels for the match. I just hope that we don't get ripped apart like we did against Adelaide on the weekend, there were so many gaps, players were like stationary training cones and looked helpless to make an impact on the game. 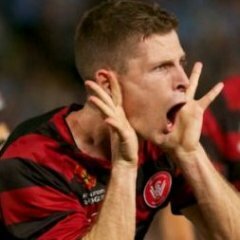 We looked flat and the players didn't seem to have the intensity that we usually associate with WSW performances in S1 & S2 but you just aren't sure how much can be put down to this pay dispute affecting the mental side of our players. If CA play anything like Adelaide, it's important that we channel the same sort of defensive performance that we put in against Al-Hilal across both legs in the final. 5-0 win wsw to justify the pay rise and make a point of it. We have never lost to this team. Be more confident peoples. And our keeper is clearly better than Real's! I would rather just lose with a respectable 2-0 score line against Cruz Azul. 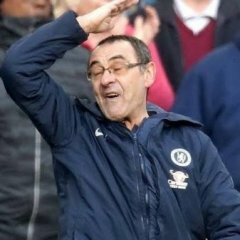 That way we don't have to endure having a world record set by Real Madrid against us. Can you imagine Cole, Golec and Topor Stanley against Real Madrid I could seriously see a 12-0 scoreline Maybe Covic would keep it down to 10.
can you imagine their strikers vs covic they have no chance. park the bus haha and hold on. Yeah, can someone who's not busy please call up the Collector, Woolpack, Marconi, etc. to see if any of them are open for the match, and report back here? ?